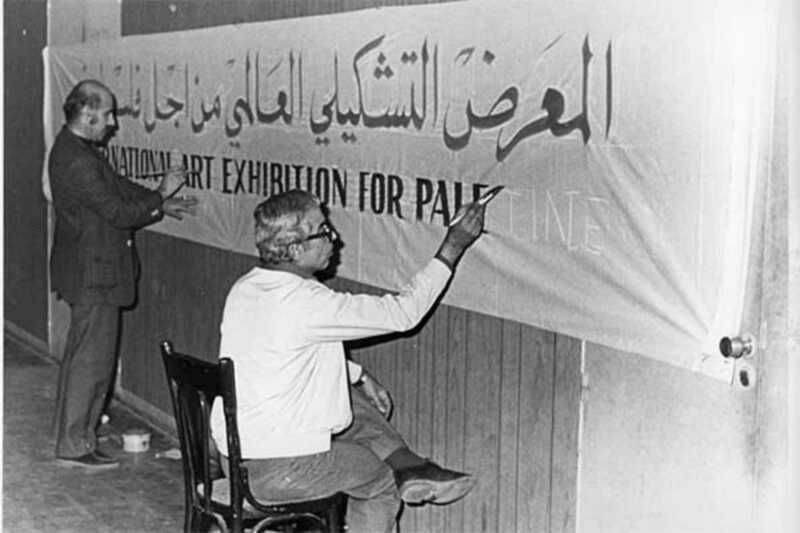 On March 21st 1978, the International Art Exhibition for Palestine opened in Lebanon, showcasing almost 200 pieces from thirty artists worldwide. Founded by the Palestine Liberation Organization, the project was intended as a touring exhibition, which would travel the world until it could permanently return to its homeland. However, the building where the pieces were stored was sustained heavy shelling during the Israeli siege of Lebanon in 1982, tragically destroying the works and all documentation pertaining to the exhibition. More than thirty years later, Past Disquiet is a documental and archival reconstitution of one of the most ambitious art exhibitions ever to have been showcased in the Arab world. From clippings from newspapers and magazines to testimonies and personal recollections, the exhibition draws on sources from as far afield as Baghdad, Tokyo and Santiago de Chile and references similar projects from across the globe, each holding up the artist as a key player in the world of politics.